No Kim K contour would be complete without the under eye highlight. I like to use concealers a shade or two lighter than my foundation to achieve this but sometimes I find once I've set it in place with a powder the initial brightening effect is dulled down. 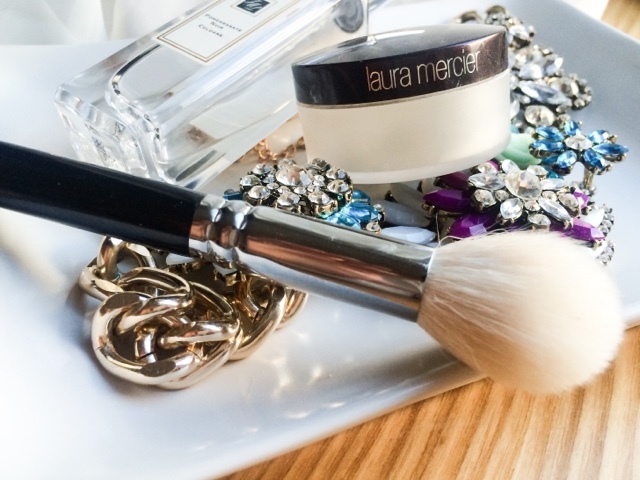 Step in Laura Mercier Secret Brightening Powder. Now in the pan this can look quite scary and when I first saw it I was a little dubious to how it would work. 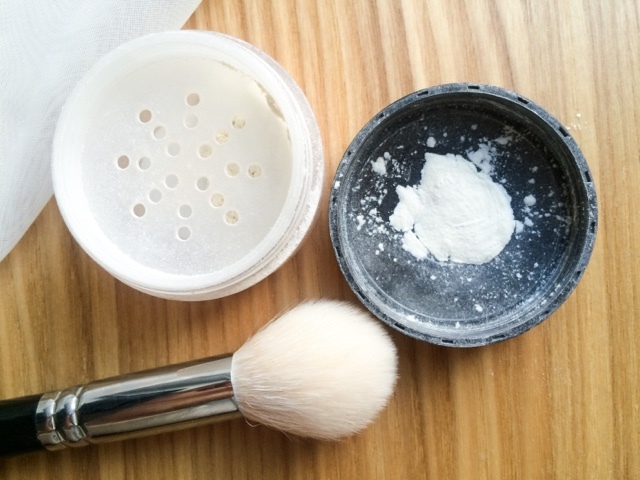 The pale powder contains tiny flecks of shimmer particles, that tend to fly everywhere as soon as you dip your brush into the pot. I had the fear that my undereyes would resemble Edward Cullen from Twilight, but they didn't. Don't ask me how it does it but once you brush it on your skin the shimmer completely disappears ( well that's what I found anyway). 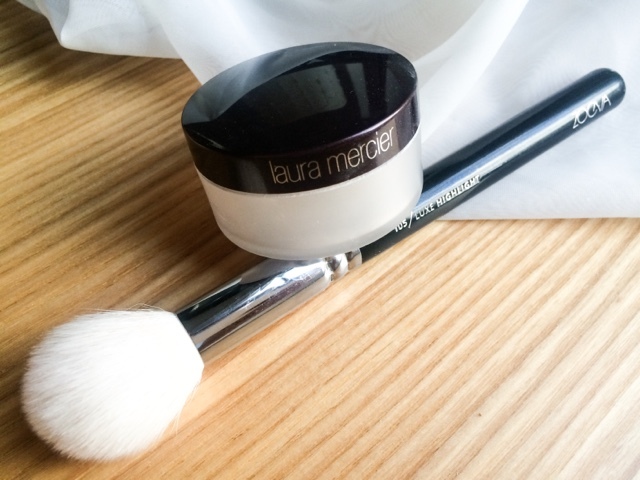 The filling milled powder is weightless on the skin and doesn't look cakey or exaggerate fine lines or wrinkles. Strangely enough I find it actually looks quite matte and almost casts an air brushed finish to the skin making it look smooth and velvety. The powder does a fantastic job at brightening the under eye area and also setting my concealer in place. Since getting it this I haven't used another product and I think it will a long time until I do so too. The only draw back is that in flash photography you can get that white cast as the light reflecting properties do tend to flashback. I don't find this to be a major problem for me as I don't often get "papped" exiting the Ivy at weekends, but if you're partial to some late night photos this may not be for you. Have you tried this before? What's your favourite under-eye setting powder? In love with the sound of this! Definitely adding to my wishlist now haha!